Palestinian President Mahmoud Abbas will hold a meeting with his Turkish counterpart Recep Tayyip Erdogan next week. Palestinian President Mahmoud Abbas will pay an official visit to Turkey and will hold a meeting with his Turkish counterpart Recep Tayyip Erdogan next week, local media reported Wednesday. According to the Anadolu news agency, the visit is scheduled for August 28. 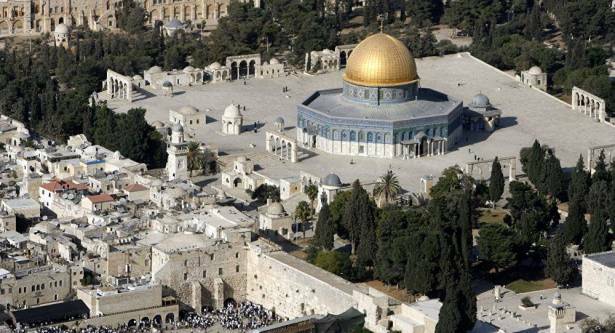 The presidents will discuss the Temple Mount crisis in Jerusalem as well as the peace settlement in Palestine, the news outlet reported, citing Erdogan's spokesman Ibrahim Kalin. Israeli authorities equipped the Temple Mount, which is the third holiest site in Islam, with metal detectors and surveillance video cameras to monitor its territory after shooting at the site on July 14 left two Israeli police officers killed. The security measures were soon lifted, but still led to unrest in Jerusalem, forcing Palestine to suspend contacts with Israel over several Palestinian deaths. On Monday, Turkish President Recep Tayyip Erdogan urged the Muslims of the world to show solidarity in issues related to Jerusalem and the Temple Mount, adding that it was necessary to prevent the same abuse, violation of rights and attacks.